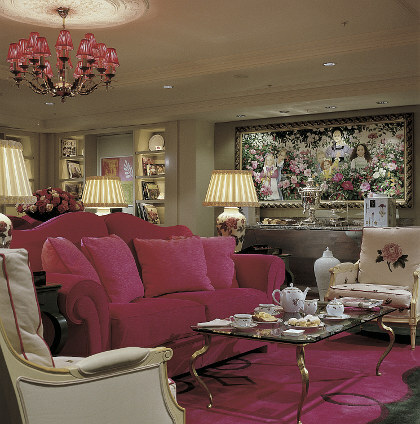 Cosy up for Award Winning Afternoon Tea at the Sofitel Rose Lounge in London. Welcome to Tea Tuesday, my weekly tribute to the art of having tea. “A Proper Tea is Much Nicer than a Nearly Nice Tea“- A.A. Milne. Life is grand in the UK now that Season 3 is well under way, sad in the US as PBS won’t be broadcasting the new season until January. Devoted foodie Downton fans will be looking forward to carefully planning S3 launch parties (check out my link to upstairs/downstairs theme ideas) or perhaps booking tickets to the S3 Culinary Launch Weekend at the Essex Resort in Vermont (see details below). The British may have historically failed in other culinary areas*, but excel in the tea ritual. Each Tuesday I dish on Downton Abbey, the Royal Family, UK tourism and other topical tea issues one might discuss at tea, served up with a tea treat recipe with history. 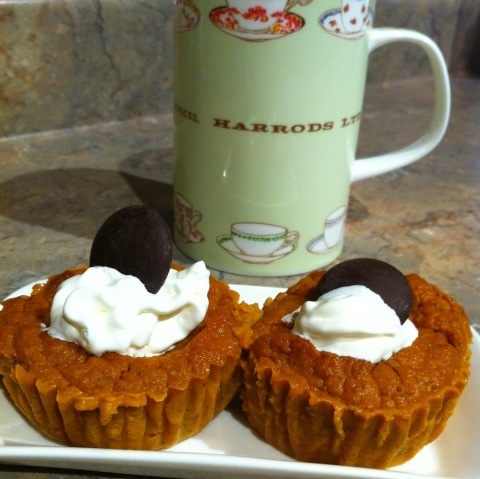 Today’s treat is Guilt-Free Pumpkin Tartlets to celebrate the arrival of Fall. A heart felt thank you for sharing my passion for Downton Abbey, history and food. We now have 128,000+ views here since January when I started this particular blog and I chat daily with many of the 6,000 twitter followers @downtoncooks. Also Check out the posted links to my Facebook and Pinterest pages. To learn more about how you too can become a Downton Abbey Cook, read my interview in Downton Abbey Cooks: Take over Mrs. Patmore’s Kitchen in WeWomen magazine. WARNING: if you wish to remain in ignorant bliss about that is going to happen in Season 3, I would suggest you scroll right down to our recipe of the day. As for me, there aren’t enough spoilers to ruin the Downton Experience for Me. 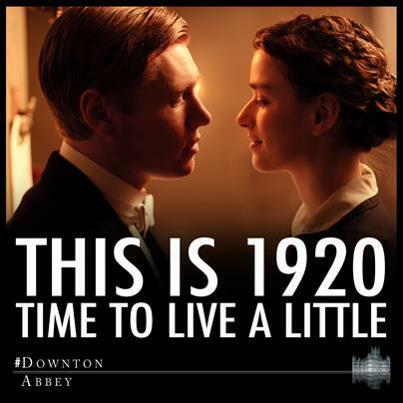 When is Downton Day? Keep track on your own Downton Abbey 2013 Wall Calendar, now available. Stay tuned for my calendar giveaways in the coming weeks, or buy your calendars for yourself and fellow Downton fans through Amazon. Downton Abbey Prequel: The big news this week is Julian Fellowes, creator of Downton Abbey, is planning a prequel which will follow the courtship of Robert and Cora. It was a fascinating time in history– American heiress’ travel to England in search of an English title, meeting Lords needing money to sustain their estates. A great book to read on the subject: To Marry an English Lord. So you Want to be a Downton Servant: 17 hour days? Service in a house like Downton Abbey wasn’t as glamourous as you might think. Downton Makes the World a Better Place: Lord D agrees that Downton Abbey reminds us all to be more courteous to one another; a lesson which Thomas and O’Brien still need to take to heart. Why do Americans Love Downton Abbey? Lord D just reminded me to include this link. It is still a mystery to me, but a few clues to the love of Downton state side. You know that Fall is here when pumpkins line the outside of your grocer, and huge displays of canned pumpkins appear out of nowhere. Pumpkin appears on every coffee shop menu: from pumpkin lattes at Starbucks, pumpkin muffins and donuts at every donut shop. I still have fond memories of the pumpkin schmear at Einstein & Bros. bagel chain when I lived close to a location in Atlanta. So why not add a touch of Fall to your tea tray as well? We already baked a Low Fat Edwardian Pumpkin Banana Bread and I will likely be providing a few more favorites in coming weeks. A pumpkin yields a lot of flesh, and yes, you can make your own pumpkin puree. This recipe is a guilt free treat for tea, but with Harvest Festival events occurring throughout the UK, and Thanksgiving coming soon in North America (in Canada the 2nd Monday in October, 4th Thursday in November in USA), these are great to serve as a healthy alternative to the traditional high fat/sugar pumpkin pie. If you can only find the tin baking cups that are lined with paper, carefully remove the paper lining, then spray each cup with cooking spray. Place baking cups on a baking sheet. Mix the sugar, cornstarch, cinnamon, ginger and salt in small bowl. Beat egg whites in larger bowl until fluffy. Stir in pumpkin and sugar mixture, and then gradually add in evaporated milk. Carefully spoon the mixture in each cup until at least 3/4 full. Bake for 25 to 30 minutes or until knife inserted near centers comes out clean. Cool on baking sheet for 20 minutes. Refrigerate for at least 1 hour before serving, longer for the flavours to meld. Keep your toppings healthy. I love non-fat greek yoghurt sweetened with a bit of honey. You could also use low fat whipped topping or frozen yoghurt. I had some dark chocolate wafers on hand, but also consider a bit of crumbled graham wafers or ginger cookies.